HIS RadeonTM HD 2400 PRO combines advanced HD hardware video processing with quiet, energy efficient operation. 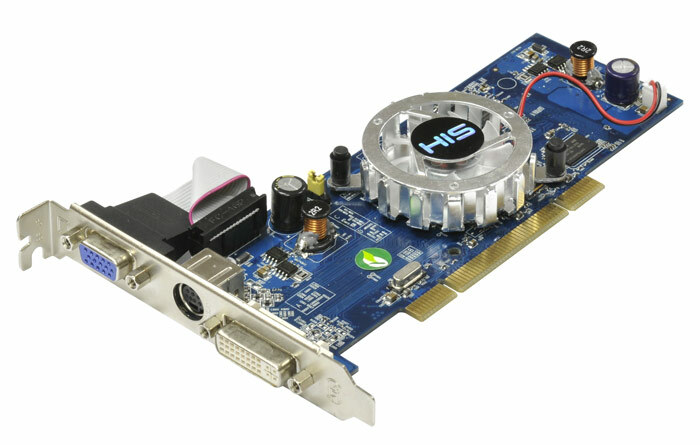 The world's first 2400Pro PCI card with HDMI features! HIS RadeonTM HD 2400 PRO is a feature-rich upgrade from integrated graphics for an immersive experience with DirectX® 10 gaming and HD video. Connect to big-screen TVs with HDMI. ATI CatalystTM graphics configuration software is designed for quick setup and stable operation with Windows VistaTM. HIS RadeonTM HD 2400 PRO delivers a dramatic high-definition gaming experience with Windows VistaTM at up to twice the performance of integrated graphics. Enhance your game play and experience sharper images, more textures, and the improved lighting effects that create lifelike interactivity and immersive realism enabled by DirectX® 10 support. You could also visit our product site - http://www.hisdigital.com/un/product2-64.shtml for more details, in which you will find the benefits and technical specifications in "Overview" and "Specification" section. The "Product Tour" will guide you through the advanced features of ATI Radeon chipset. Feel free to share your reviews with other users in the "Customers Review" section. I hope the information will be useful to you. Please feel free to contact us again if you have further questions. Again, thank you for your interest and support on HIS products.